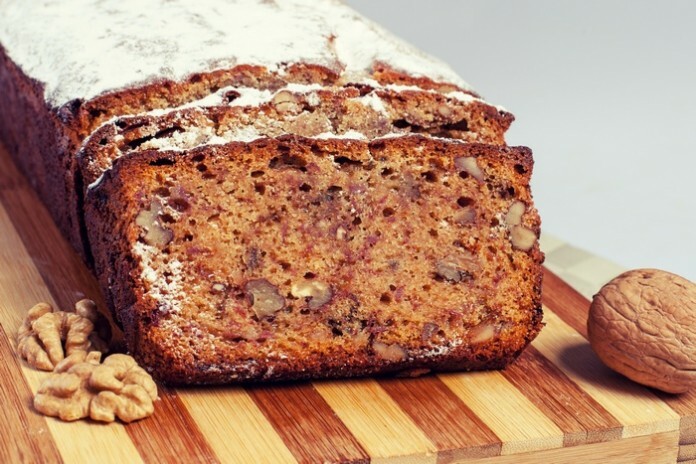 Easy Sugar-Free Banana Bread! | Food, glorious food! Home Easy Sugar-Free Banana Bread! Preheat your oven to 160C or 140C fan-forced. Grease and line a loaf pan with baking paper. Mine measures around 23x11x7cm high (9"x4"x3" approx). Set walnuts pieces aside. Mix all remaining ingredients together and add to the banana mix, stirring well until combined. Now stir the walnut pieces through and then spoon your mixture into the loaf pan. Smooth the top. Bake for 60 - 70 minutes or until a skewer inserted in centre comes out clean. Allow to stand in the pan for 10 minutes before transfering to a wire rack to cool. Enjoy! To get the desired sweetness, allow bananas to fully ripen until they are soft to touch. The bread can be kept in the fridge for up to 5 days or you can freeze it for anything up to three months.